About nine months ago, I decided that I would embark on a journey to become a certified Sleep Consultant for infants and toddlers. This made zero logical sense to me at the time I committed. #1. I knew I was re-entering a three-year yoga therapy program, and who would be crazy to partake in two modes of study at once?? #2. At the time, I had a 10 month old (now 19 months). Do I need to say more? #3. I was about to guide an 8 month yoga training program that took up LOTS of my time…why add more to my plate? But, I had this feeling - this indescribable feeling that understanding and supporting baby/toddler sleep would benefit my desire to support mothers during the postpartum experience and into new motherhood. And, I’m so glad I followed that nudge. Nine months later (and six months after a move to Rhode Island from Pennsylvania), I’m knee deep in yoga therapy, nearing the completion of my sleep training, and loving the transition my work is taking to supporting women and their families. I’m ready to share sleep consulting with you. Sleep (or lack of restful sleep) is an indicator of emotions, feelings, physical state, and our relationship to our environment. We need to understand our child’s emotional state, developmental age, current events in/outside of the home, as well as the family parenting philosophy in order to help our babies and toddlers get the rest they need. And that rest, of course, leads to happier babies and mothers, but it also helps develop deeper bonds between mother and child. I firmly believe that. As a yoga therapist, I advocate for a sleep consulting approach that compliments the family’s parenting philosophy, while also emphasizing a deeper connection and understanding between mamas and their babies. I take into consideration the mother’s state of well-being, concerns, and goals for sleep support. And, I work together with mothers (and parents) to design a sleep plan that is right for babies’ and toddlers’ unique temperaments and developmental ages, as well as ensuring that mothers feel nurtured and cared for throughout the whole process, too. Note: I take a gentle, baby-led and parent informed approach to sleep. I guess there are still two main thoughts as I wrap up this message to you. #1. Dear Mama, please follow those nudges and tugs on your heart, even if they don’t make sense. You really can’t know where it leads, but it’s often more beautiful than you could imagine. #2. I’m ready to start supporting your family as a Sleep Consultant! To kick off these services, I’m offering 50% off of the Infant & Toddler Prepared Sleep Plan package for the next two weeks! Thank you for being a part of the Yoga Dear Mama community. I’m honored you’re here and delighted to continue to share more. And, please write and share your experiences with sleep (you and/or your child’s)! How are you sleeping? How is your baby sleeping? What about your toddler? I’d love to hear from you. P.S. If your family is sleeping well, please share this letter with a mama friend who isn’t. Sleep is not a luxury, but a necessity, especially after those early months of babyhood. 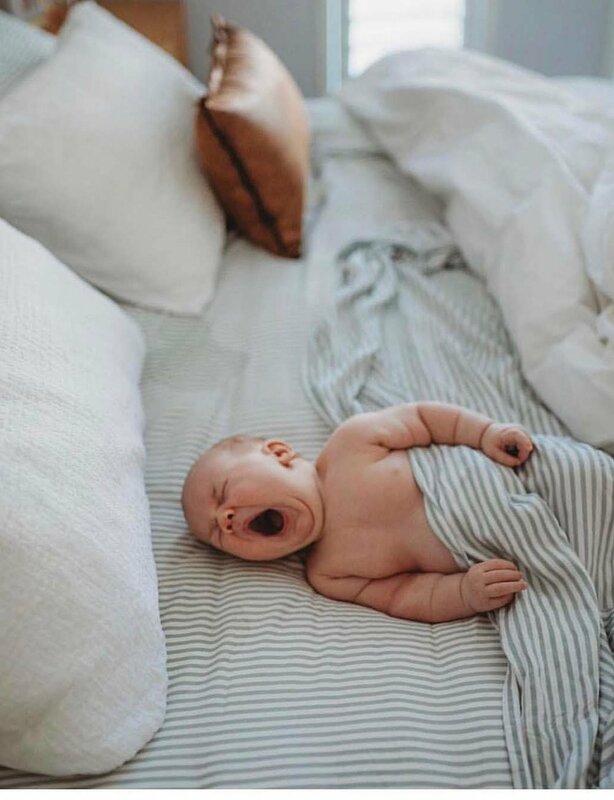 The Infant & Toddler Prepared Sleep Plan is 50% off now, and includes a consultation, full intake, full sleep plan presentation, follow-up phone call, and three days of email support.